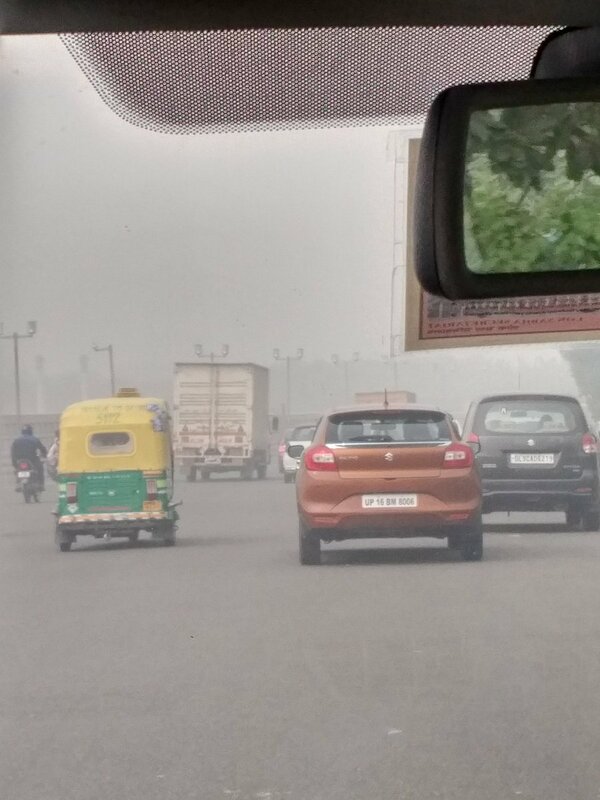 New Delhi, Nov 8: Delhi Deputy Chief Minister Manish Sisodia on Tuesday said that air pollution in Delhi is "technically very close to severe, but not severe" even as he issued advisories, including the closing of all primary schools in the city for Wednesday. However, experts say the situation is already severe, as the primary source of pollution here in Delhi and NCR regions -- PM2.5 -- was already beyond the severe level and preparedness is required on a war footing. "Data from CPCB (Central Pollution Control Board) of PM10 at 4:30 in the evening, the latest report, was 436," Sisodia said addressing media on Tuesday evening. "Severe definition is above 500. But 436 is too close to 500, the situation is bad in Delhi and it is evident as Delhi looks like a gas chamber." "Technically (the pollution) very close to be severe, but not severe," the Deputy Chief Minister said. The National Capital Region on Tuesday saw its worst air quality and smog situation of the year -- even worse than a day after Diwali, as a yellow blanket of smog hung heavily in the sky. The pollution level rose to dangerous levels, with 20 out of 21 active pollution monitoring stations recording "severe" air quality. "PM2.5 is the major pollutant, its highest health impact on among all other pollutants. So we keep a close eye on it... As per Graded Response Action Plan, if PM2.5 remains above 300 for two consecutive days then it's already an emergency situation," Sumit Sharma, Associate Director, The Energy and Resources Institute (TERI) told IANS. "This is a very-very severe situation, pollution is extremely high... If we talk of long-term measures based on the scientific analysis, this situation shouldn't have arisen at the first place. Last year this happened and this year also its happening." Delhi's Air Quality Index was 483 at 9 p.m., which is more than that recorded a day after Diwali 2016 and 2017. Average PM2.5 at the same time was 483, highest PM2.5 was 626 - 25 times the permissible limit as per international standards, recorded at Mathura Road (south Delhi). Meanwhile, Union Environment, Forest and Climate Change Minister Harsh Vardhan requested all state governments in the National Capital Region to take effective steps for mitigating the levels of air pollution and bring them to acceptable levels. He said that every possible step required to tackle the situation has been already identified and the need of the hour was to put them into action at ground level, which will yield significant results.